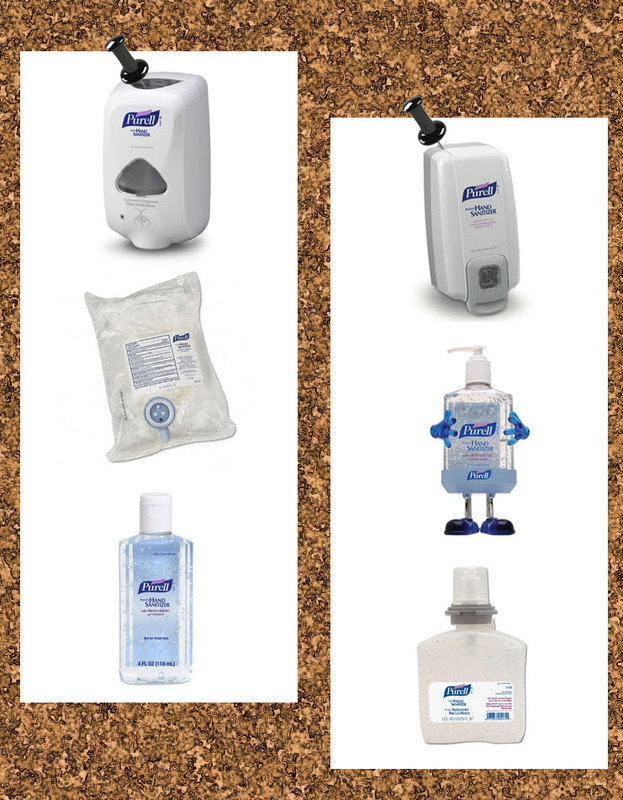 Hand sanitizer – the handiest tool for germaphobes and mothers everywhere. Also, it’s pretty handy for finding paper cuts. Even for me, who grew up playing in the mud and never met a germ that I feared, hand sanitizer is something that I carry and use on a fairly regular basis. It’s not just for kids on the playgrounds, or disinfecting your hands after pushing the grocery cart around. Sweaty handshake? Purell afterwards! Stroll through a store, picking up objects that who knows who else touched? Purell afterwards! It’s also great for wiping down gym equipment; especially the elliptical wands after the last person sweated all over them and forgot to use their towel afterwards. They are handy to pop into your kid’s backpack for school as well, so they can help keep the fight against germs going, and not bring home every illness known to man. I have two hand sanitizer dispensers, and get refills for them once a year. It is the perfect example of how hand sanitizer has become a part of our daily lives. Yes, the dispenser is bulky and it needs refills to work, but in the long run, it’s inexpensive and can go anywhere in your home. I keep mine in the garage (perfect for after taking out the garbage, which gives me the skeeves, frankly) and I also have one in the kitchen (perfect for after touching raw chicken). The refills last my household for a long while, and the dispenser is touch free, so it remains free of the germs you’re killing with the hand sanitizer. Obviously, hand sanitizer should go hand in hand with washing your hands (no pun intended), but what a great addition to your home or business! Previous Post We live in a world of colors! Next Post The last packet standing..